Rockin’ down the highway…Keep on rockin’ but just make sure to let that bus back in. Stellarlite designed this campaign for Communications Nova Scotia, including Print Media Advertisement, Online Media banners and Busboard design. Mr. 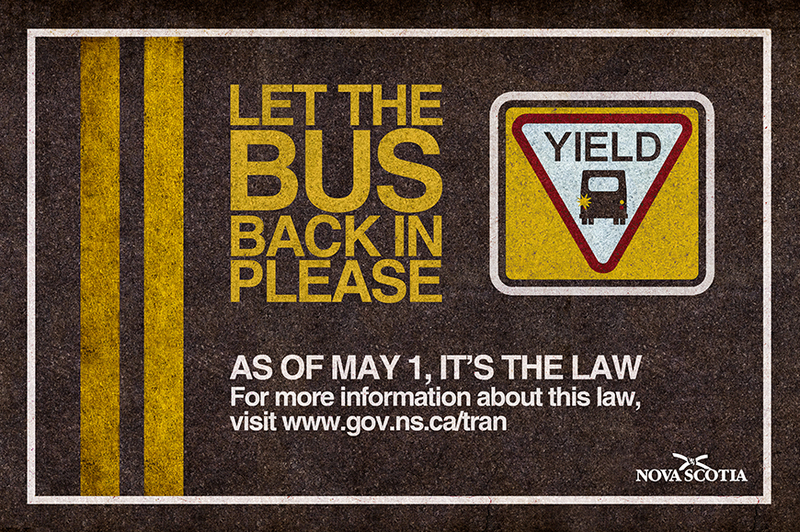 Bus driver is just making his rounds, if you see him at a stop on the road, chill for a tic, and let him back on his way! What’s your rush anyway?